They are updating the front page often, and depending on if you are a member or not, you see a lot more information. I’ll try to explain what is on the site – however – there is SO much on the site – I’ll focus on the path we used with it. The more you dig into the site the more you find! After watching the Getting Started videos and reading about the program, we ventured over to the Unit Studies or Topics (Unit Studies). 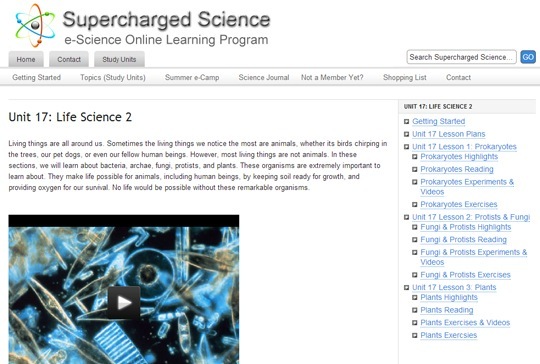 The page has about 19 unit studies that cover all things science. And I’m not kidding. I mean ALL things science. Since we were studying Fungi and Mushrooms, I looked at Unit 17, Life Sciences 2. I was excited about the content and vocabulary used on the site. I downloaded the Lesson 2 PDF’s to my Kindle Fire. We looked through the experiments and videos together. It felt very –‘schoolish’ – but the boys were not too excited. A few days later, some friends were visiting and we went to the tide pools. The visitors got really excited about the Mussels on the rocks. They wanted to try to eat them and dissect them. After gathering a few types, they went home and cooked them as if they were clams. Everyone seemed to enjoy them. They came over here afterwards and I had the mussel dissection sheets printed from the site ready to go. 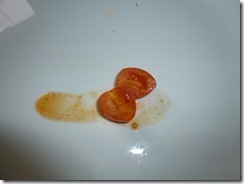 However, after they had already ‘dissected’ them for lunch, the thrill was gone, and the on the spot education passed. We did look over the sheets and talk about the various parts – that were now digesting in their own tummies. Again- It was all very ‘schoolish’ but it wasn’t calling the boys to learn more, be excited for more. I had been reading the blogs and Facebook Pages entries of the adventures my friends were having while playing with the site a few times each week. I couldn’t figure out how to get my science loving guys to react with enthusiasm. THEN, One Monday I wrote on our white board – Browse e-Science Unit Study Topics. That was all the instruction that I gave. No time limit, expectations or depth of ‘looking’. Soon, Nathan (14) was plugging in the head phones to start watching videos. He had clicked into Unit 6, Sound. Which makes sense, as he has been in an internship with the Cultural Center to learn how to do Light and Sound for productions. He had just finished a few days of being a Stage Manager for several magic shows over Spring Break. He quickly popped up and started asking for random objects. Index Cards. Tongue Depressors, String, Paper Clips, Hot Glue – and the lists went on. He spent the rest of the morning devouring experiment after experiment. 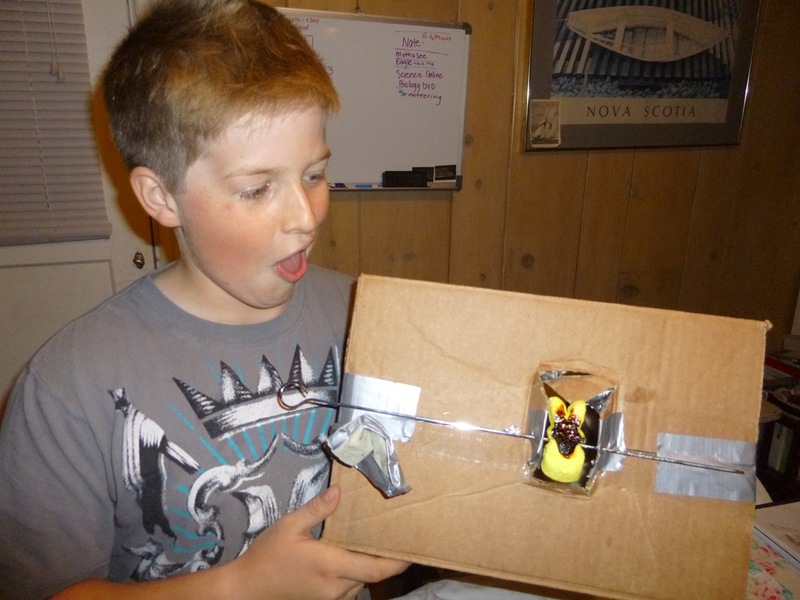 He created a couple of objects to show vibrations and resonance. He read the why of what was happening with what he created. I had video and photos but my hard drive crashed a couple of weeks ago (photos of the fungi and mussels too). I knew we were in trouble when I heard the teacher mention that the particular science experiment is annoying to parents and children alike. Oh –and during that one, he realized how water travels down the string, instead of splashing down the spout and spent a few minutes trying it at different speeds and hole sizes. After that day – I quit trying to direct their interest and let them go. They have studied Robots, lights, chemistry, and solar ovens. One fun part of signing up for their site is the emails that are sent out with suggested experiments. We learned about types of matter, specifically plasma. We were enjoying our morning coffee when I started to watch the video and talk to hubby about how to create the effect of the plasma machines that they boys enjoy. The globe things that have veins of electricity that will connect to your fingers? The experiment was to slice a grape in half, leaving the skin attached, opened like a book. Microwave it for 12 seconds. She explains on the Plasma Grape Experiment what exactly is happening. One thing that I love is the comments section. The staff interacts with the students in the comments. For the Plasma Grape there are over 140 comments. 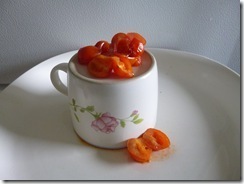 Through that, we learned that we could use grape tomatoes instead, which we had on hand. We also learned a few tips and tricks to make it work with different microwaves as each person shared how their experiment went. The community is incredible! If we were really homeschoolers we would have made sauce after the experiment, but they went into the compost. This week we participated in a live Webinar to learn about Alternative & Renewable Energy. 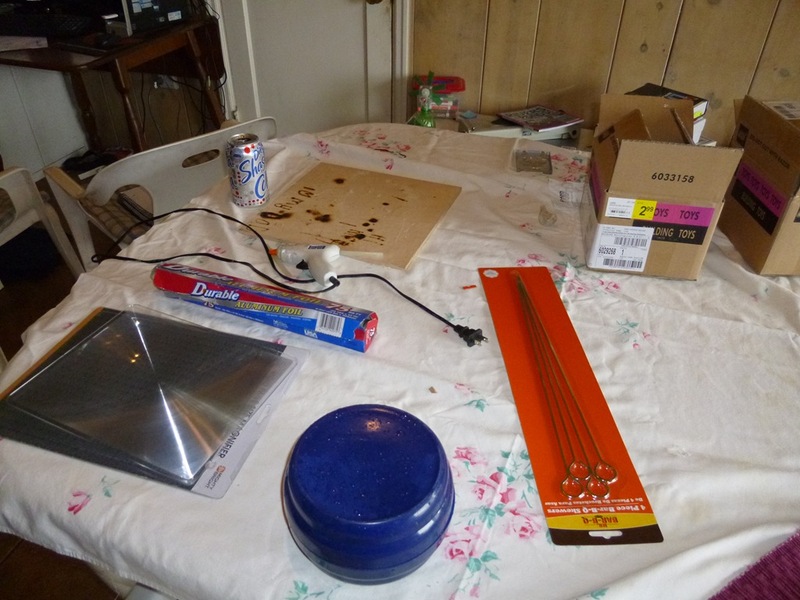 At the end, we were to make an outdoor solar oven. We’d spent a day looking for the lens needed for the front of the oven. I wondered if it would be a super heating tool, since it is a large magnifying lens. I had my doubts, since it was overcast. 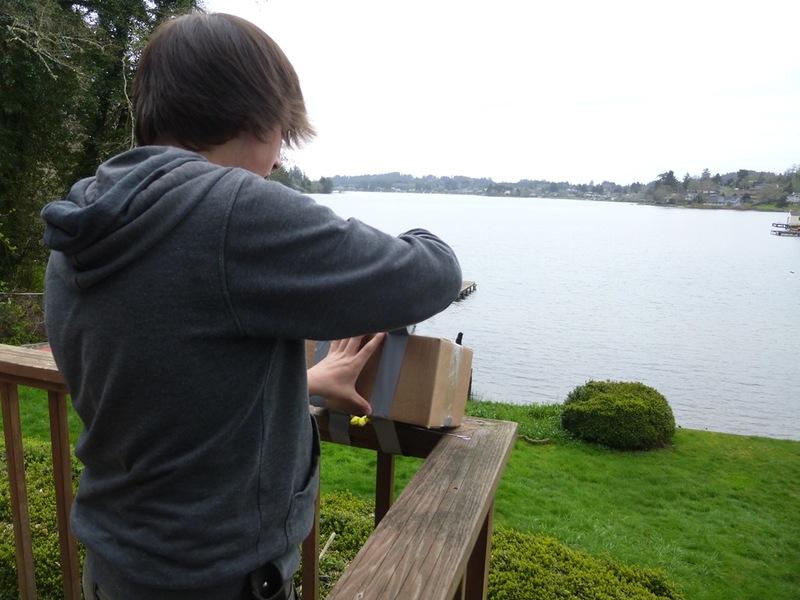 However, we were putting it out facing the afternoon sun, and we’ve had many a fun afternoon making designs in scrap wood with hand held lenses in the past. It started to get really overcast, and we had baseball practice, so we left it to do some errands. During the errands, when I’d think of it, I’d start to panic. Would we come home to a melted bunny? Would the clouds clear on our side of the lake and we’d come home to a burnt spot on the deck? Would our next project be to re-build parts of the deck? 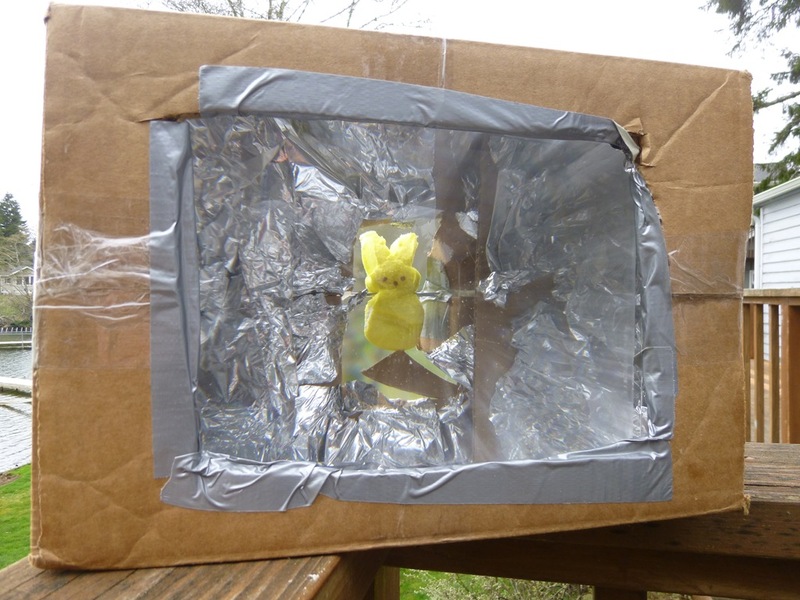 Why o Why did I leave a solar oven on the railing of the deck? When we came home, it was dark and the box was chilled from the evening. I looked at the underside of the bunny and he was in check, whew. A few minutes later, Jon runs in and asks excitedly if I flipped the bunny over? No, I had not. He joyfully reveals that the sugar on the bunny had, in fact, melted. I was so excited I jumped up and down with glee, grabbed the camera and took photos for the blog. Then he started sticking his tongue out at me and my husband busted out laughing. 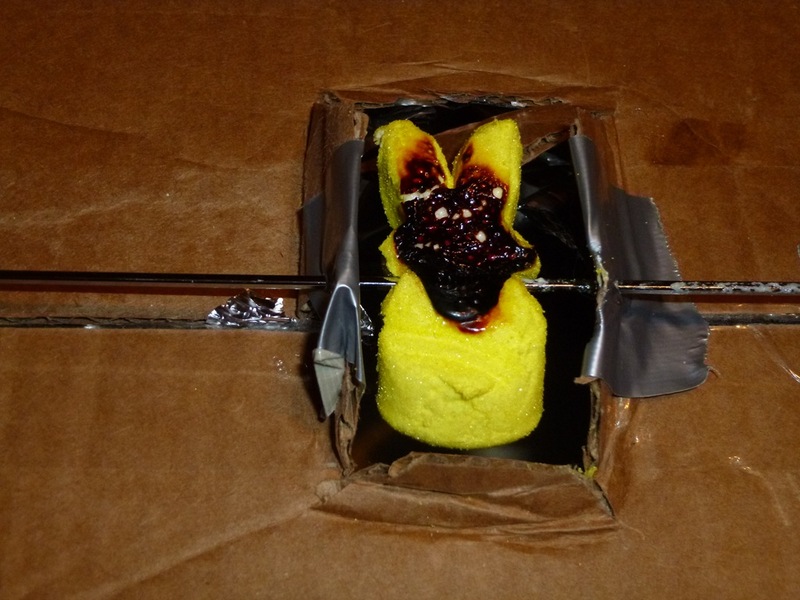 They had applied a blow torch to poor lil bunny. For about two or three days, (or whenever they remember) they just start laughing. “and she took pictures!!! bwa ha ha ha ha”. So back to the business of the review. You can see that we really enjoyed having access to this material. 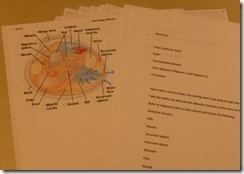 It was handy to have so many experiments and learning sheets for any topic we were in. 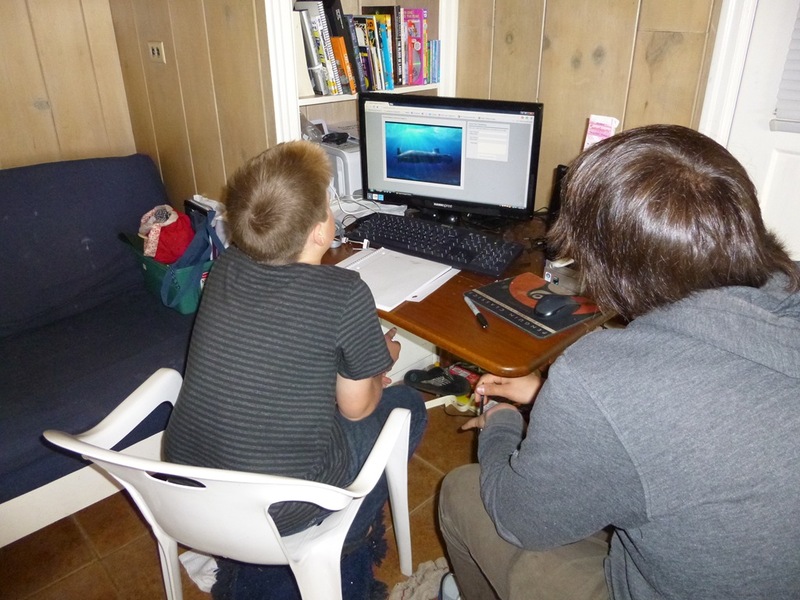 The topics worked well with our Biology, Nature Studies and Electronics classes that we are currently in. We found that they boys got more excited and took ownership if the initial video excited them and they got to choose what we did that day. Many of our projects would have gone easier if I had supplies instantly on hand. Some of their enthusiasm is ‘in the moment’. There is a Supply List on the site broken down by unit. If you are studying chemistry or electronics, as we are, you might want to browse the list so those spur of the moment projects are possible. For the Charlotte Mason point of view – the teacher is constantly reminding and encouraging the student to keep journals of their projects and discoveries. The method follows an observation – ask a question – research – and try it out learning style. The learning sheets are rich with vocabulary and has a very one on one style of personal learning text. If you are concerned about having your high school science because of the lack of labs, then this program would definitely answer that question. Although we focused on Jon (6th grade) for these projects for K-8, each unit digs deeper and deeper into a High School level. 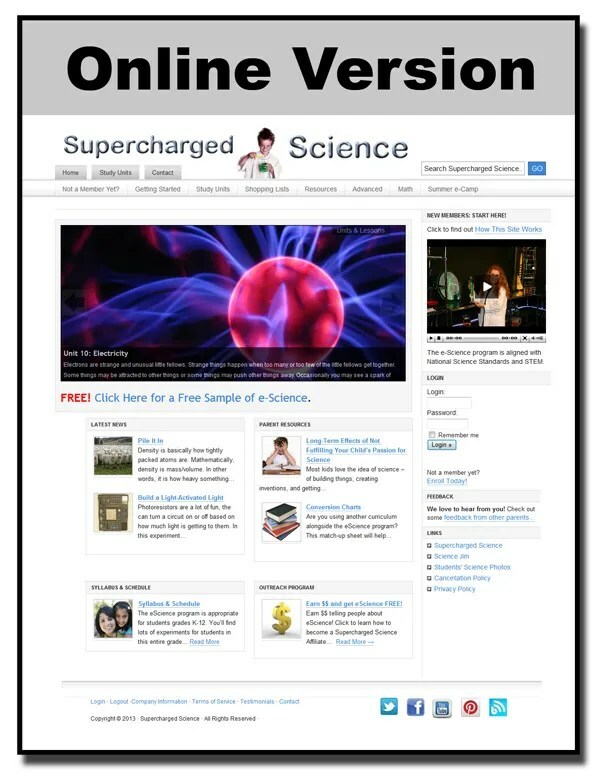 Many of the High School topics are covered with new units being added monthly. 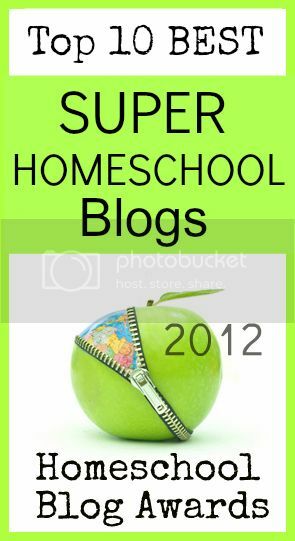 You may browse information on their site – particularly for homeschool families. 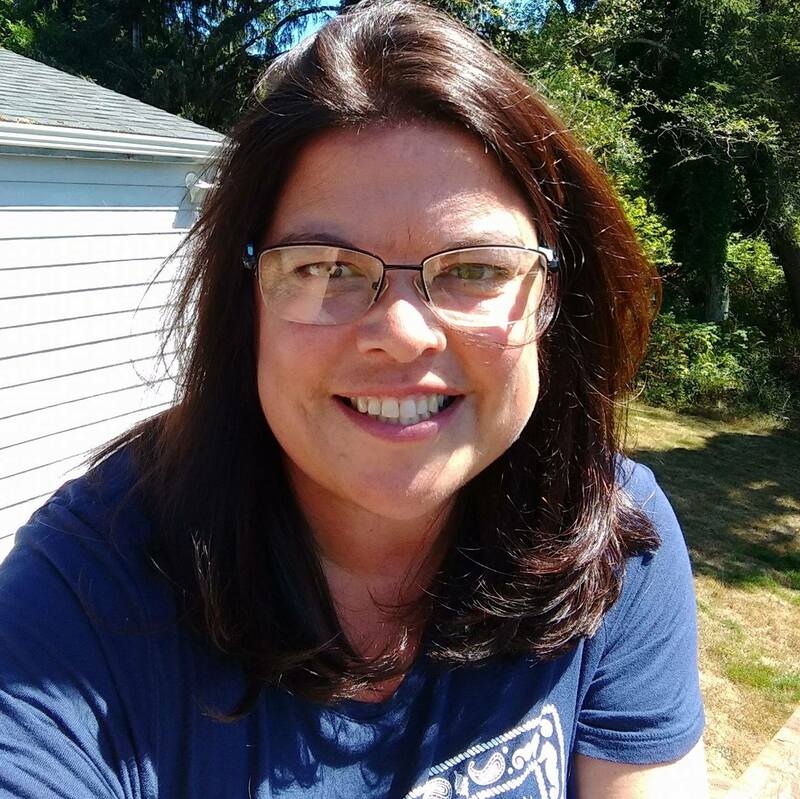 On the information page the teacher tells gives specifics for homeschoolers and breaks down the differences between several curriculum packages and her site including price and ages. We reviewed the K-8 which is priced at $37.00 per month. This is the LINK to the price sheet. If you live in a state that requires you to teach to state standards, or if that is important to you, THIS LINK has the scope and sequence. The site covers science, it does not speak of the age of the earth or how things were created. We just look at them as they are now. I would think that this program would qualify for charter school coverage. There is a Conversion Chart for over 20 curriculums. They have taken the time to match up their Unit Modules to match the scope and sequence for each program. 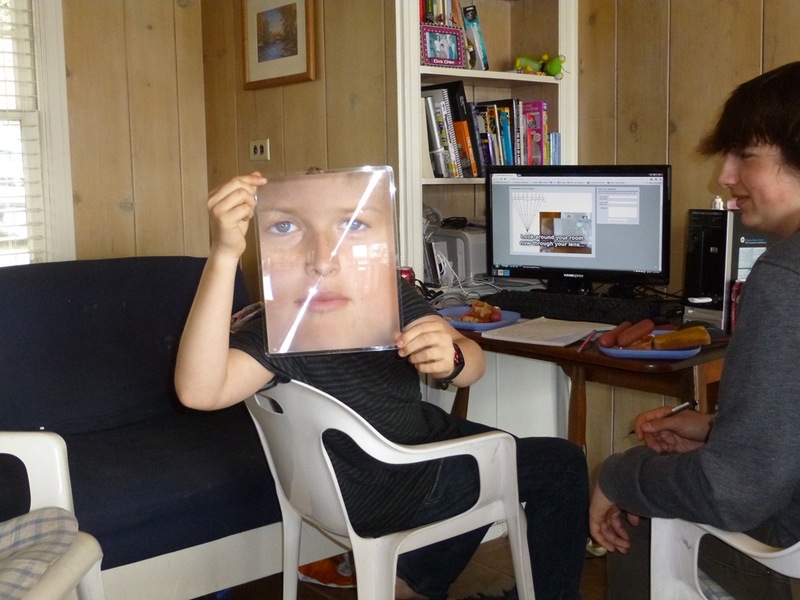 If it’s not clicking in your brain with an ah-ha moment – that means – that you have a private tutor giving videos for each section of your curriculum with experiments. Think about that for a moment. Bottom line – We will continue to use the program, as it was given to us for free in exchange for sharing this review with you. I can’t imagine ever using our science project/experiment books again while we have access. Several shelves of science books may be replaced by this one product. However, I have one son that does not learn well from the computer. He likes books and table experiments. As mentioned above, I can print it out, download it to kindle, set up the project and not use the computer as a starting point. The banner below is for our Schoolhouse Review Crew Reviews. Click through to see what other families thought and see how they used it. 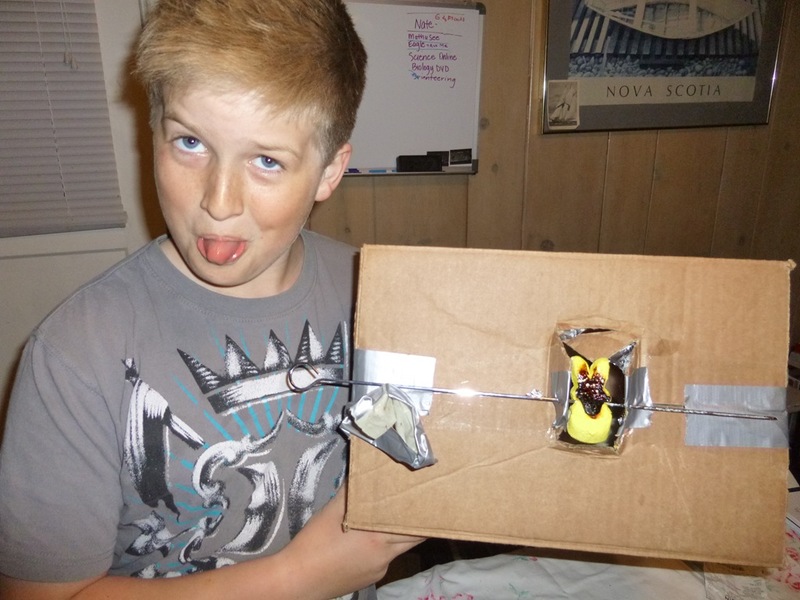 This entry was posted in Some Schooling and tagged escience, HomeSchool, HSBlogger, hsreviews, Lincoln City, Science. Bookmark the permalink.